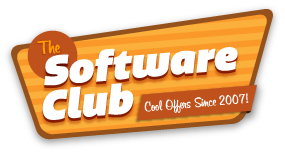 V16.5: Save 5% off one license and up to 20% when you buy 3 or more licenses. Paragon Hard Disk Manager 17 Advanced is the newest version of this useful utility. 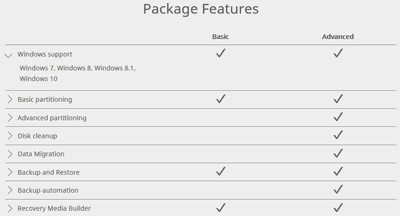 It comprises 4 full Paragon products top help you manage and protect your Windows drives. You’ll have one main console within HDM to manage each element so it will feel like a single product with several components. Backup & Recovery: Keep your data and files fully backed up while being able to restore them quickly in the case of data loss. Partition Manager: Resize, add or remove partitions of a drive very easily. Now includes granular partitioning. Drive Copy: Migrate Operating systems or data to a new drive. Disk Cloning included. Disk Wiper: Destroy files permanently across the entire drive or just clean up a part of a drive. Save 5% off one license and up to 27% when you purchase 3 or more licenses. – Drive partitioning and resizing. Take a snapshot of the whole system. – Data and file backup and recovery in case of file loss. – Wipe your data with military grade tools so they will never be recovered. – Manage Bootcamp more effectively than ever. 3. Click the Upgrade Now button to complete the upgrade. Under the My Upgrades section you will also be offered price reductions for any compatible products. For instance if you already own a previous version of one of the products in Hard Disk Manager you may be offered a significant discount to upgrade to the full version. Paragon wants to make sure you have the best tools available. If you’re not yet ready to go the whole hog, try the basic version of Paragon’s Hard Disk Manager at no cost. You’ll not be able to use all the features and functions but you can do basic backups, partitioning and use the recovery media builder. You can then start to add the advanced products as you need them. I love how it keeps all of the essential functions under one console. Hard Disk Manager comes in two options for home and small business users, for Windows PC and for Mac. In addition there is an Enterprise version but there is no discount available for this version, you can contact Paragon directly for pricing information.